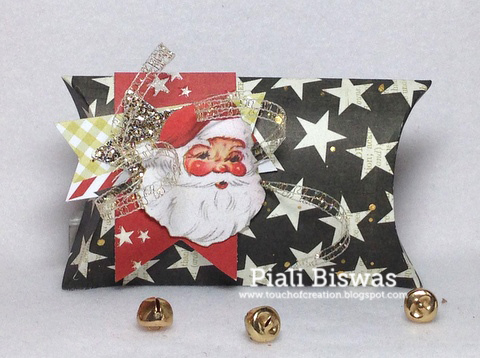 TOUCH OF CREATION: Crafty Chicks Winter Bloghop!!! Absolutely gorgeous projects! Very well done! Wow these are all beautiful. And no stamp now that is AWESOME!!! In awe! Jar dropping awe! I love every single one of them! Great job - these are gorgeous! Gorgeous! 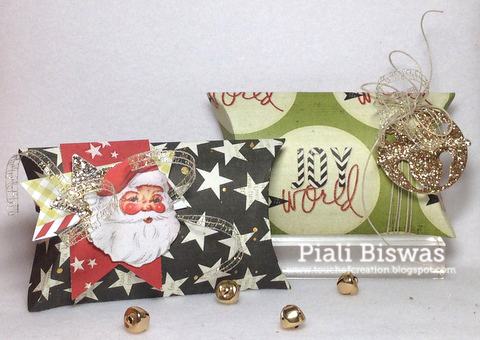 I linked up some pillow boxes too using the same paper pad ;) Yours are SO much prettier though! Happy Holidays! WOW! You've been busy creating some gorgeous projects!! Love what you've done! Thanks for stopping by Sister Act! Great projects!! 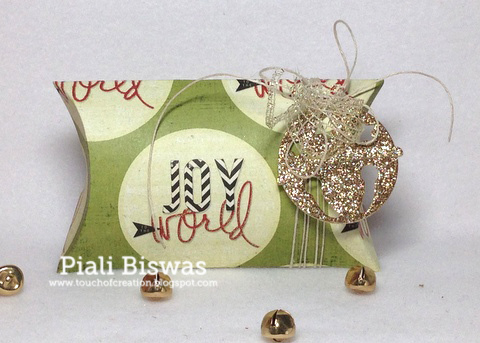 LOVE the " joy yo the world" card! Love what you have done with that beautiful paper! It has a sorta vintage and art deco vibe that I absolutely love! 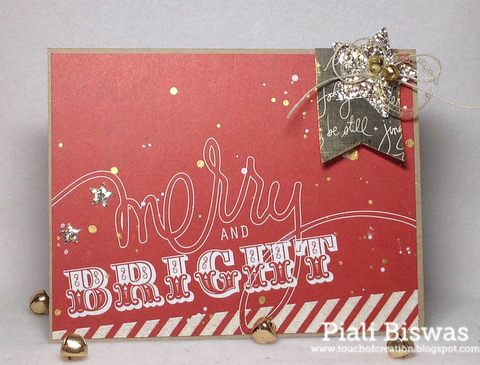 What am amazing assortment of cards and to think...no stamping!!! I love them all...great job! These are all gorgeous! 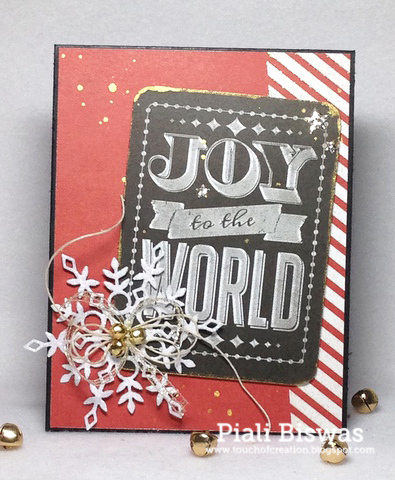 Love the layering and use of elements, Piali! You can do all styles! LOVE! Love the paper! I will have to find some!!! Really great creations you have made here! TFS! 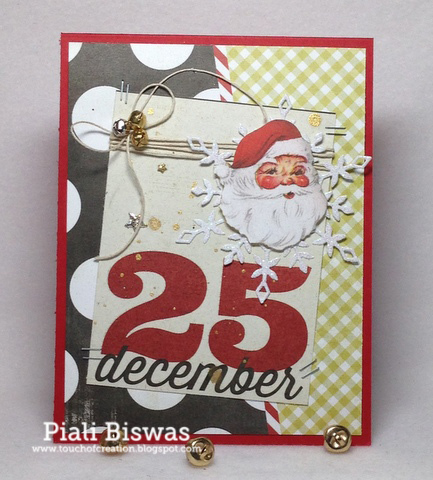 Love these cards and I totally love that Christmas Pack too. Your gift card idea was cute too...gonna have to borrow that! wow these are so awesome! I love Heidi Swaps new collections too!! Thank you for playing along with us this week at TPC with your gorgeous pillow boxes. I love your designs!!! They are great. Thanks for joining us at Fairytale Challenge!